Getting three kids ready to get out of the house by 8.30am is a nightmare at times. We're all moving or running around the house getting everything ready. Even if we're all up super early, there is always something that seems to stop us leaving the house right on time. However, some mornings aren't too bad, I guess. Although I'm not to keen on the school runs, I do feel extremley lucky that I'm able to do them. One day they won't be wanting me to walk with them to school, and I know with Mia, that will happen in a few years time. I remember all those mixed emotions when they both started school, and it's just crazy how fast the years have flown by. Each year they grow up so much, in their looks, their style, their personalities and just everything. Talking about their style, Mia has had her own kind of 'style' for a long time now. 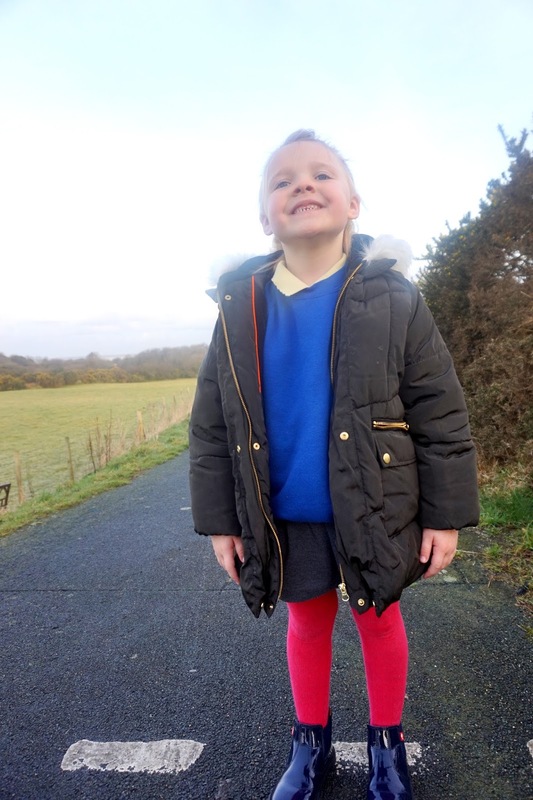 She lover her leggings and tops, while Elliw loves wearing her skirts, tights and a top or a pretty dress with tights. Their styles are so different. However, one thing they do love are a good pair of boots. Finding the right pair of boots to last through the winter days and school runs can be a pain at times. There's nothing worse than buying a pair of school shoes for them and them only lasting a few weeks. 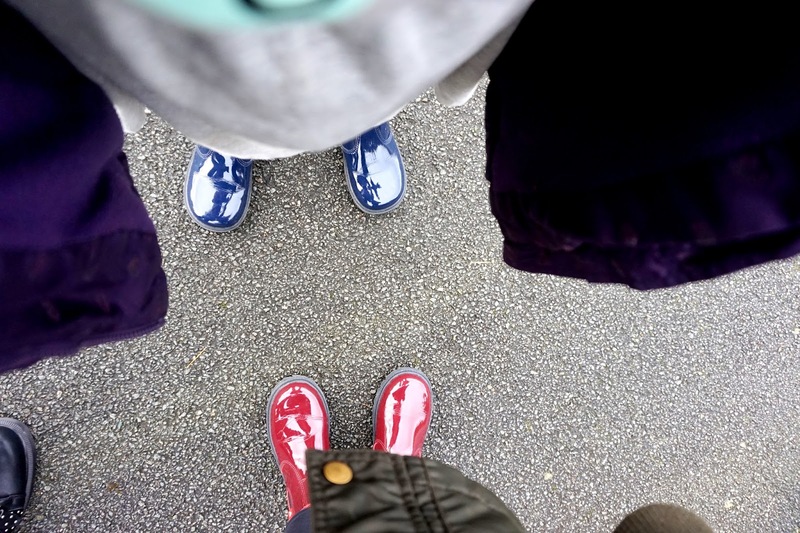 As we walk to and from school each morning and afternoon, I always look for specific features when I buy them boots for school. 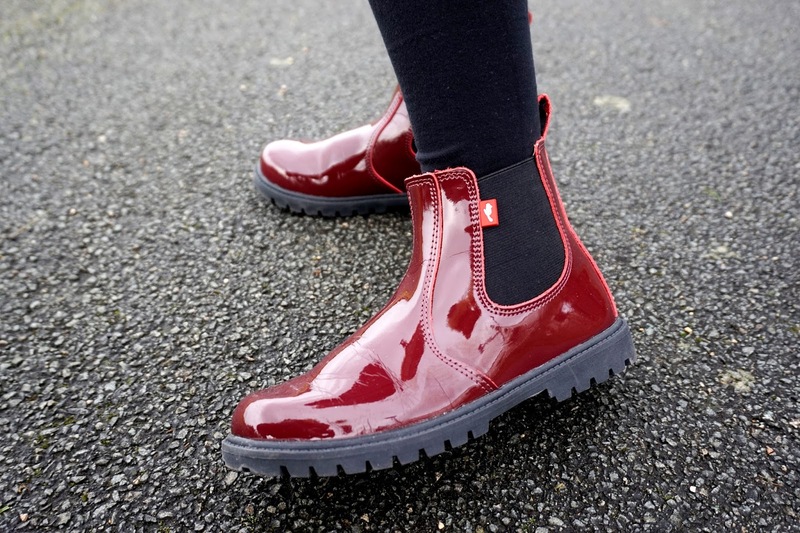 I always want them to be hard wearing, great quality and waterproof. Chimpunks have a fantastic range of shoes for children. From winter boots to slippers and shoes. 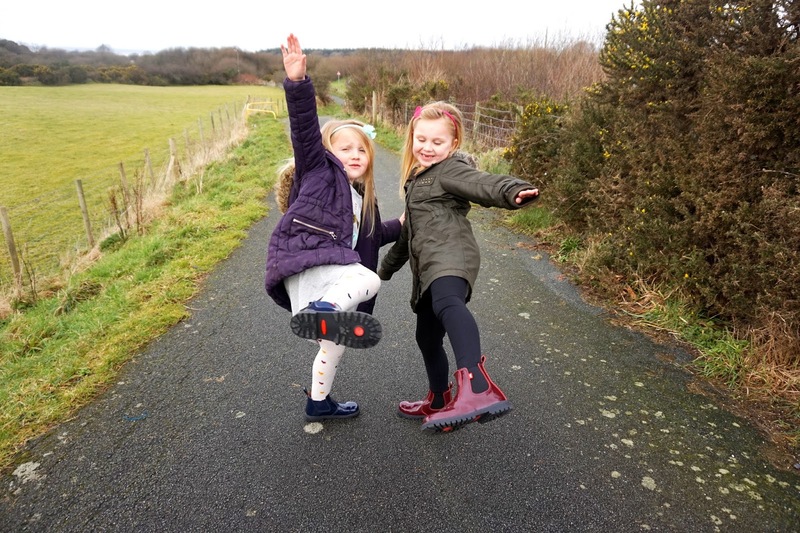 Both girls were kindly sent two stunning boots from their Boots range. Elliw had the Ranch Infant in Navy and Mia had the Ranch Junior in a dark red shade. When they arrived, both girls were over the moon. They are both fantastic quality, much better than I thought as I can be really picky about shoes. I am really pleased with them, and they have had many good comments from friends and family when they've worn them. 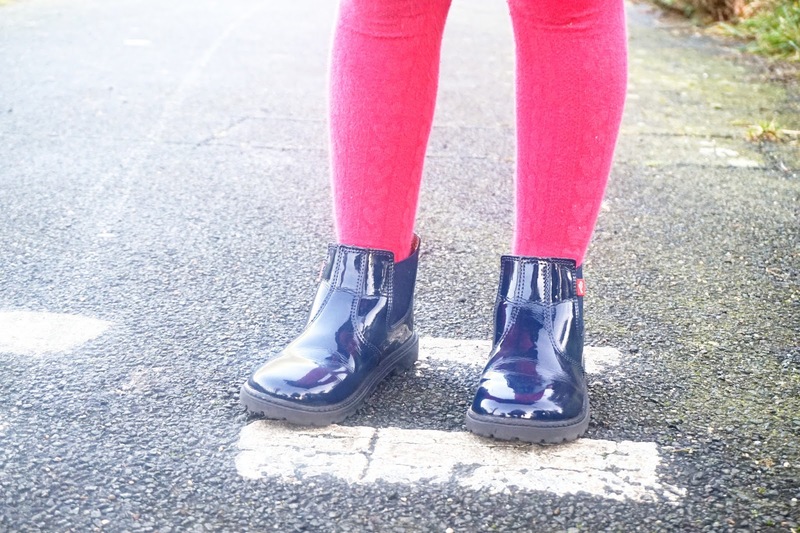 They are the perfect fashionable and durable winter shoes to walk to and from school. They've worn these boots most days, even on the weekends. They team up well with some leggings or tights and a dress/skirt. There is an easy pull-on tab at the back of the shoe which helps the child put their shoe on a little bit easier. Elliw uses it each time she puts her boots on. There's also elastic side panels on each side which makes the boot more comfortable, adds that extra touch and great for easy access. They are a great pair of durable full grain leather boots with a chunky non-slip sole. * Thanks to Chipmunk for kindly gifting us these boots. All words, photos and images are our own.